Thank you to everyone who participated in and made the recent Student Involvement in Self Access Centers Conference in Nagoya an astounding success! It was great to see so many students talking passionately about their SACs and exchanging ideas about how to make them even better. We hope to be able to hold similar events in the future. Thanks once again to Risa and her team of students at Sugiyama Jogakuen University for a superb job in organising it all! 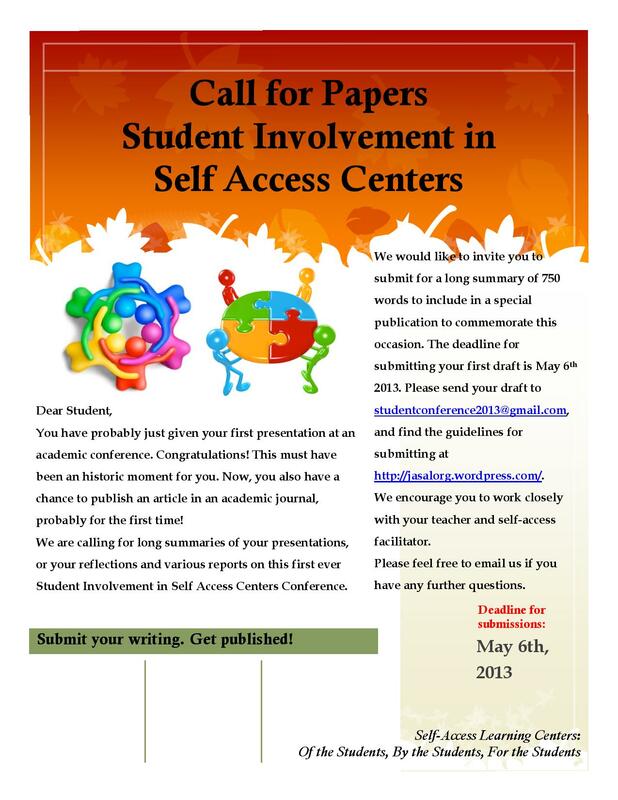 In order to spread the word even further and keep the conversation going about student involvement in SACs, we’d like to announce a Call for Papers for a Conference Proceedings. 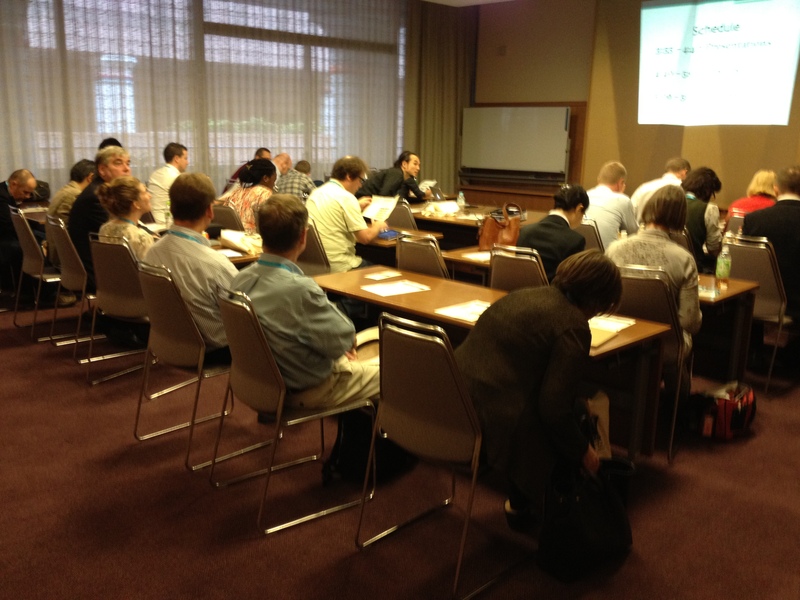 This conference proceedings will be read by people who couldn’t attend the actual conference, so it’s a great opportunity to share your ideas and suggestions with people all over Japan who are interested in SACs and Learning Centres. We also hope to help authors publish their papers in respected academic journals. Teachers/advisors/managers: please encourage your students to submit a paper for this volume! a reflective report on your experiences at the conference – what you learned and how you would like to change and improve your SAC based on the ideas you got from the conference. Papers should be around 750 words. The deadline is 6th May, 2013. Please send your submissions to studentconference2013ATgmail.com. All submissions will be reviewed by the editors before publication.